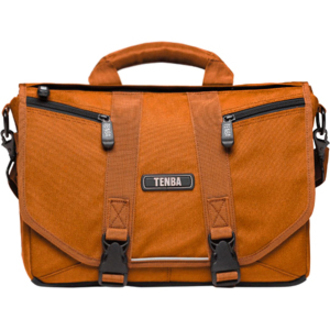 The Tenba Messenger is an urban-inspired laptop bag that's designed to hold everything you need for a day; on vacation or at work; at school or at the gym. Adjustable dividers let you configure the interior for a wide variety of photographic or video equipment, and removing the dividers converts the Messenger Mini into a perfect, general-purpose carrying bag. Maximum Screen Size Supported 13"